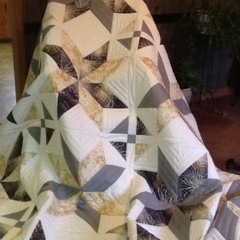 I am going to show you the quilt I just finished hand quilting on Sunday...Big Star from Missouri Star Co. I love this quilt, measuring 112x112 inches. 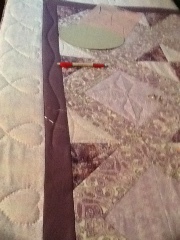 And this is the one I am hand quilting now....Floral Arbor. 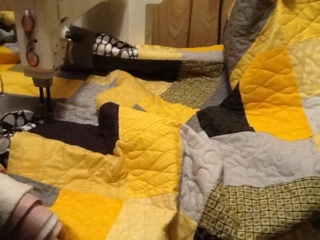 The is a difficult one to see the quilting on...a custom order for a wedding gift. Can't remember the name, but the yellow blocks sort of form a pinwheel. I'll show you again when finished. I have another order for w wedding gift too, but haven't picked a pattern out yet...later. Have a good week everyone!!!! Thanks for visiting. I wish I could be as productive as you, Marjorie. "Big Star" is stunning! 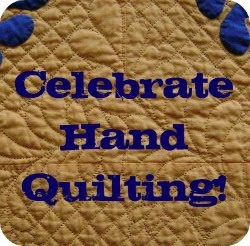 Thanks for posting to TN&TN's WIP Wedesday! That Big Star is simply stunning. It looks like you are finding plenty to keep yourself busy. Fabulous quilt. Congratulations on your finish. Love how you did the white squares. 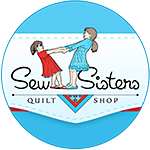 Busy Quilter you are! love your Missouri quilt! Beautiful quilting Marjorie and what a HUGE quilt to hand quilt! You always, always amaze me at what you accomplish!